Network security is a priority for every carrier worldwide. Investments in human resources and technology solutions to combat attacks are a significant part of carriers’ network operating budgets. The goal is to protect their networks by staying a few steps ahead of hackers. Currently, carriers may be confident that their network security solution is detecting and mitigating DDoS attacks. All the reports generated by the solution show the number and severity of attacks as well as how they were thwarted. Unfortunately, we know it’s a false sense of well-being because dirty traffic in the form of sophisticated application attacks is getting through security filters. No major outages or data breaches have been attributed to application attacks yet, so why should carriers care? A large segment of carriers’ high-value customers have zero tolerance for service interruption. There is a direct correlation between service outages and user churn. Application attacks put carriers’ reputations at risk. For customers, a small slowdown in services may not be a big deal initially. But as the number and severity of application attacks increase, clogged pipes and slow services are not going to be acceptable. Carriers sell services based on speed and reliability. Bad press about service outages and data compromises has long-lasting negative effects. Then add the compounding power of social networking to quickly spread the word about service issues, and you have a recipe for reputation disaster. It’s safe for carriers to assume that their networks are always under attack. DDoS attack volume is escalating as hackers develop new and more technologically sophisticated ways to target carriers and their customers In 2018, attack campaigns were primarily composed of multiple attacks vectors, according to the Radware 2018–2019 Global Application & Network Security Report. Attackers prefer to keep a target busy by launching one or a few attacks at a time rather than firing the entire arsenal all at once. Carriers may be successful at blocking four or five attack vectors, but it only takes one failure for the damage to be done. 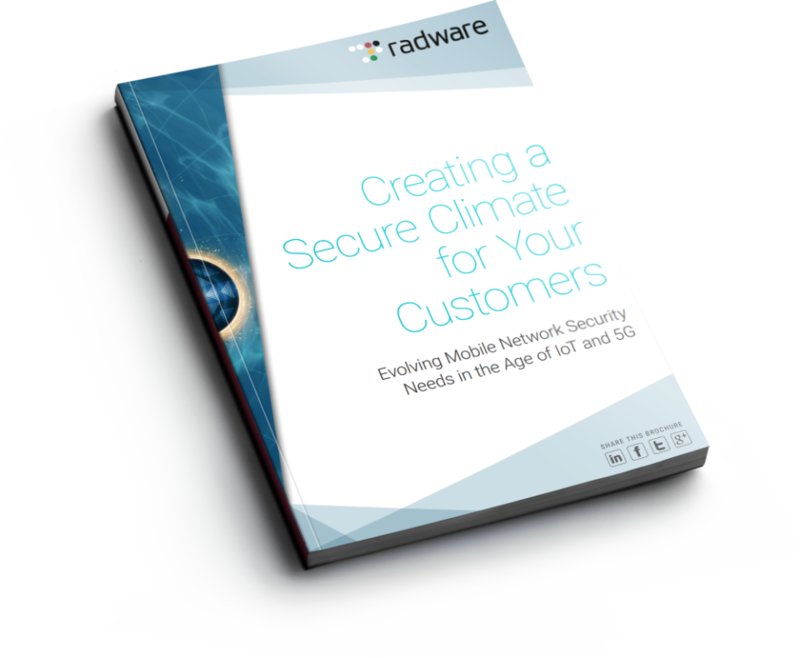 Read “Creating a Secure Climate for your Customers” today. AT&T and Verizon are committed to an aggressive, multi-city roll out plan in a race to be the first carrier to implement national 5G deployment. We see this competition play out almost daily in the news: AT&T’s “5G E” is slower than Verizon 4G, Verizon declares 5G war on AT&T, Verizon inks a deal with the NFL to bring 5G to stadiums, and so forth. And yet, despite this newsworthy competition between telecom giants, we still have a limited understanding of the benefits and risks of 5G. There are the obvious benefits – faster service, for one – and risks, like insufficient security infrastructure. But what about other, less considered factors that can impact 5G (both positively and negatively), such as net neutrality and wearable devices? How do they play into the risks and rewards of this communications (r)evolution? Currently, net neutrality in the U.S. is embroiled in partisan politics and it’s unclear whether these regulations will be reinstated. But operating under the current status, in which net neutrality rules are suspended, service providers stand to profit from 5G. As we’ve previously discussed, 5G allows for service providers to “slice” portions of a spectrum as a customizable service for specific types of devices and different customer segments—and without net neutrality, carriers can conceivably charge premium rates for higher quality of service. In other words, service providers could profit by charging select industries that require large bandwidth and low latency – like healthcare and manufacturing, for example – higher premiums. This premium service/premium revenue model represents a significant ROI for carriers on their 5G infrastructure investment. Not only does slicing provide flexibility for multi-service deployment, it enables the realization of diverse applications on that physical resource, which helps recoup cost for the capital investment. However, because implementation will be patchy, with initial focus on high-density, urban areas (versus rural populations), the so-called digital divide may very well deepen, not just for consumers but for rural industries like healthcare and agriculture as well. IoT devices have outpaced the human population for the first time in history. And 5G will undoubtedly fan the flames of interest in wearable devices, due to its projected speed and availability of data. While these devices can certainly make life easier, and even potentially healthier (think about the ECG app on the Apple Watch! ), they also carry enormous risk. Why? Because they’re hackable – and they contain a treasure trove of sensitive data, like your location, health stats, and more. And the risk doesn’t only impact the individual wearing an IoT device; enterprises are likewise at risk when their employees wear devices at work and transmit data over office WiFi. With the ever-changing nature of internet regulations and the explosion of wearable devices, security must be top-of-mind for service providers. Not only is security advantageous to end users, but for the carriers as well; best-of-breed security opens the possibility for capturing new revenue streams. No matter the complexity of securing 5G networks, there are solutions. For example, service providers should consider differentiated security mechanisms, offering security as a service to vertical industries, and segregating virtual network slices to safeguard their networks. And of course, let the (security) experts help the (carrier) experts. Much of the buzz surrounding this year’s Mobile World Congress has focused on “cool” tech innovations. There are self-driving cars, IoT-enhanced bee hives, smart textiles that monitor your health, realistic human chatbots, AI robots, and so forth. 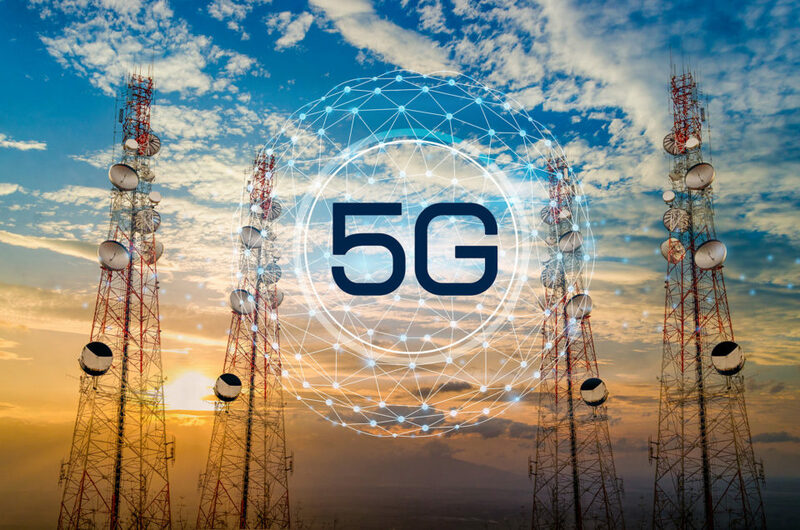 But, one piece of news that has flown relatively under the radar is the pending collaboration between carriers for 5G implementation. While this is certainly a valid concern, there is an obvious solution: If carriers are looking for differentiation in a collaborative environment, they need to leverage security as a competitive advantage. As MWC19 is showing us in no uncertain terms, IoT devices—from diabetic smart socks to dairy milking monitors—are the way of the future. And they will largely be powered by 5G networks, beginning as early as this year. Smart boot and sock monitor blood sugar, pulse rate, temperature and more for diabetics. Which is all to say, although carriers are nervous about setting themselves apart while they work in partnership to build 5G infrastructure, there’s a huge opportunity to differentiate themselves by claiming ownership of IoT device security. As I recently wrote, IoT devices are especially vulnerable because of manufacturers’ priority to maintain low costs, rather than spending more on additional security features. If mobile service providers create a secure environment, they can establish a competitive advantage and reap financial rewards. Indeed, best-of-breed security opens the possibility for capturing new revenue streams; mobile IoT businesses will pay an additional service premium for the peace of mind that their devices will be secure and can maintain 100% availability. And if a competing carrier suffers a data breach, for example, you can expect their customer attrition to become your win. My words of advice: Collaborate. But do so while holding an ace—security—in your back pocket. Recently I spoke on security in Austin at the Big Communications Event, where Verizon announced their uCPE (Universal Customer Premise Equipment) platform. Notably, they are choosing a white box platform from Adva running Openstack on a generic Linux server with a KVM hypervisor. Verizon’s new platform will enable them to deploy the device as a generic piece of NVFi to host any VNF in this generic Linux/KVM/Openstack environment. If successful, this gives Verizon huge flexibility to configure and deploy new services completely remotely via SW and remove one of the major cost drivers of Carriers: deployment and maintenance of CPE. As the Carrier vs. cloud competitor discussion has raged over the past few years, it seems there has been a truce called in the last few months. Rewind back a few years ago and the Web Internet Companies (WICs) and Carriers were mortal enemies fighting over the same space. As such, Carriers moved to buy or build their own Cloud data center operations. Verizon buying Terramark for 1.4B in 2011 being just one such example. Carriers converged on Singapore last week to discuss the state of the industry and plans for 5G. Singapore remained the same as ever. Hot and humid weather dominated the banking and shopping mecca in SE Asia. The global slowdown is being felt there, particularly in the continued slide in housing prices, which peaked here in 2013. Amid this environment, most major APAC Carriers don’t plan to roll out commercial 5G services until 2020. Highlighting the need for continued technical trials, finding the elusive 5G killer app, and the continuing evolution of 5G standards, the APAC Carriers showed little resolve to push 5G commercially prior to 2020. Last week in Denver, Carriers discussed their plans to migrate their networks to NFV and SDN, and what they’ve learned so far. Some themes were predictable. Carriers see agility and service innovation as the key drivers for their NFV/SDN deployments. This driver is fundamentally more important to them than cost reduction, though they are seeing reduced costs in deploying NFV over proprietary hardware. Accordingly, the new generation of Open Source Standards bodies (OPNFV, ONF, and ODL) is seen as more important than the traditional IETF and ETSI standards bodies since it’s through them that Carriers see the ability to compete with more agile open source deployments. However, the presiding theme throughout the conference was that Managed Security Services are clearly on Carriers’ minds as they make this transition.